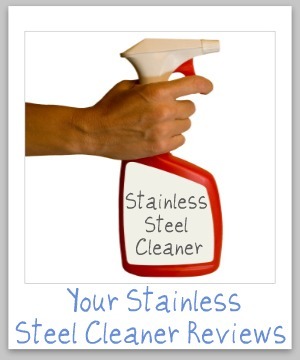 Stainless Steel Cleaners & Polishes Reviews: Which Products Work Best? 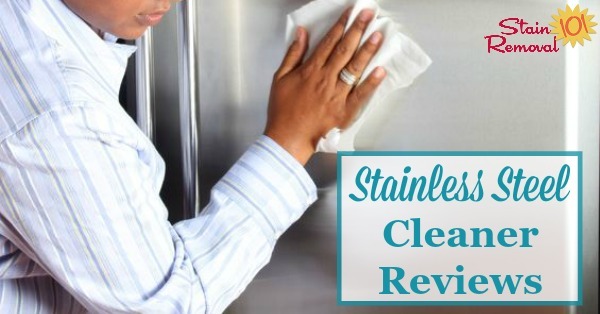 Here is a round up of stainless steel cleaners and polishes reviews, including both general and specialty products, to find out which products work best for cleaning this metal without streaks. Stainless steel items are becoming all the rage, but all those little fingerprints, greasy smudges, and stains can make these items not look their best. You don't want to spend a lot of time cleaning, so this is where you can share your "Mom reviews" of these cleaning supplies, telling whether you would recommend them or not. 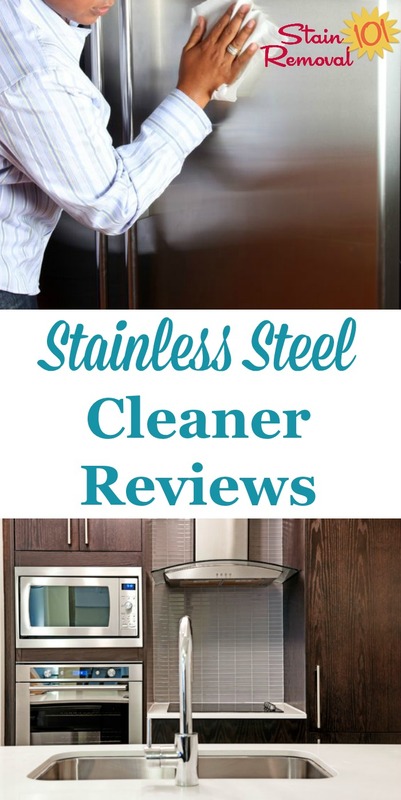 In addition, if you are considering buying a cleaner specifically designed to clean stainless steel you can find out what other "Mom reviewers" and other people have said about it here to see which products work best. There are reviews for both specialty products, and also more general purpose products that are also designed to work on stainless steel. Stainless steel has been around for quite a while, but it has become even more popular than ever around our home. For instance, stainless steel appliances are now all the rage, but how do you keep them clean? The same question can be asked for your stainless steel sink, grill, pots and pans, and other items throughout your home. There are a suprising number of products that are available specifically to clean stainless steel, and also to polish it. 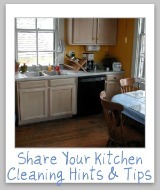 If you use stainless steel cleaners or polishes in your own home I would love to hear from you. In addition, if you use a more general product to clean your stainless steel I would also love to hear about that. 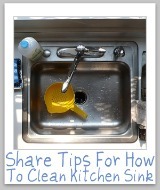 You can also share your tips for how to clean stainless steel here, or read tips already submitted.